This fox like fella is Geogie. He is approximately 2 years of age and is on the look out for his forever home and family. Geogie loves to play with other dogs, he loves the attention he gets from humans and is looking for that special space to call his own. He is house trained, is doing well with his leash manners and loves to snuggle. Geogie’s adoption fee is $500. and includes his neuter, up to date vaccinations and micro chip. 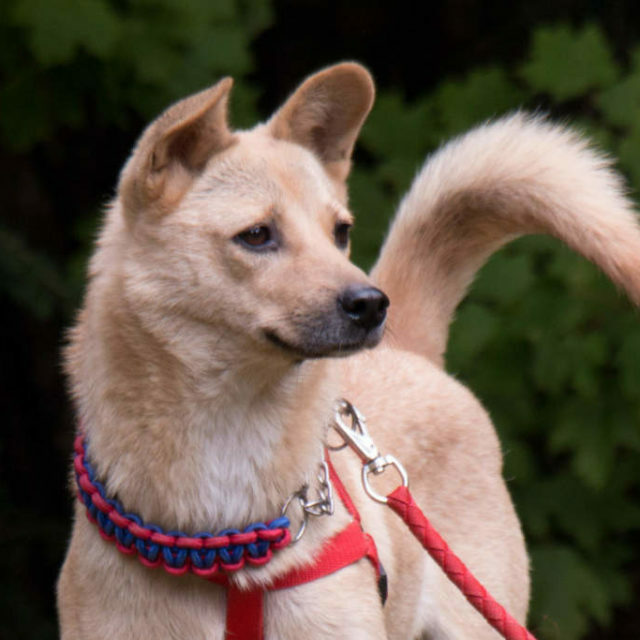 If you are interested in meeting our foxy fella, please complete the adoption application. Once the application has been received and reviewed, a member of the team will be in touch to set up a meet and greet.